Anthony Boatswain is a Grenadian politician and parliamentarian. Anthony Boatswain grew up in the constituency of St. Patrick West. Commonly referred to as Tony, he received his primary education at the Chantimelle R.C. School and St. Patrick’s Anglican School and is a graduate of McDonald College (1969) and the Grenada Boys Secondary School (1971). He received a Bachelor’s Degree in Economics (1976) and a Masters Degree in Economics (1977) from the University of Long Island, New York. In 1977 he was awarded a Doctoral Fellowship from the University of Toronto, Canada to pursue a Doctorate in Economics. Mr. Boatswain is also an avid sportsman having represented his alma mater Mc Donald College at Football, Cricket and Athletics. Prior to joining the Grenada Public Service, he taught at McDonald College and later at the St. John's Christian Secondary School. Upon entering the Grenada Public Service, he was assigned to the Ministry of Finance where he served as Permanent Secretary, Deputy Director General and Chief Economic Planner. 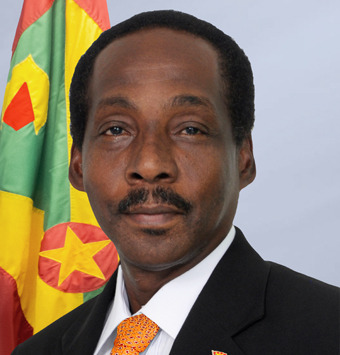 He later served as General Manager of the Grenada Industrial Development Corporation. During his exemplary Public Service Career, he also served as Chairperson of the Marketing and National Importing Board and Board member at the Grenada Ports Authority, Land Development Control Authority, the Grenada Board of Tourism, Grenada Banana Cooperative Society, Grenada Bureau of Standards, the Grenada Chamber of Industry and Commerce and the Grenada Development Bank. After demitting the public service, he became engaged with the private sector at the level of Company Director. In 1998, he was elected as Chairman of the St. Patrick's West Constituency Branch of the New National Party (NNP). In January 1999, he became the nominated candidate for the Constituency of St. Patrick's West, elected to the House of Representatives and was appointed Minister of State in the Prime Minister's Office responsible for Finance. In November 1999, he was elevated to Minister of Finance, Trade, Industry and Planning, In November 2003, he was re-elected as a Member of Parliament and maintained his ministerial portfolio. In 2007, following a Cabinet shuffle, he was appointed Minister for Economic Development and Planning, Trade and Industry. Boatswain has travelled extensively representing Grenada at many international meetings including the World Bank, International Monetary Fund (IMF), Commonwealth Secretariat, the Caribbean Development Bank (CDB), Caricom and the Organization of Eastern Caribbean States (OECS). Boatswain maintains a very close link to his constituents and is firmly committed to economic development that is sustainable and geared to the empowerment and improvement of quality of life for the people of Grenada, Carriacou and Petit Martinique. Following the NNP's election victory In February 2013, Boatswain was appointed Minister of Education and Human Resource Development in the Keith Mitchell Administration. In the Cabinet resuffle of 1 September 2017, was appointed Minister of Sports.